A challenge to lose weight & become healthy by eating raw foods! Day it seems I was in a haze for the better part of the day. And this morning I had some errands to run, so it made for a very trying start to the day. I’m chalking it up to allergies!! But by the time I finished with my errands, it was lunch time so I head home. Mike warmed up some left overs from yesterdays meal and I had the same thing I ate last night. Cucumber & Tomato Salad and Rice. Not feeling any better then I did this morning… Mike and I decided to go out again. This time, I wanted to go north to St. Augustine to the outlet mall. Sunday when we were out in Orlando at the Outlets I got a shirt from Armani Exchange and it’s too tight. So I wanted to see it there was an Armani Exchange in St. Augustine, but there’s not. So it was late… and my stomach was growling!!! So we went to Carrabba’s Restaurant. It was just before 7pm when we walked in the door… and that means 2for1 happy hour. 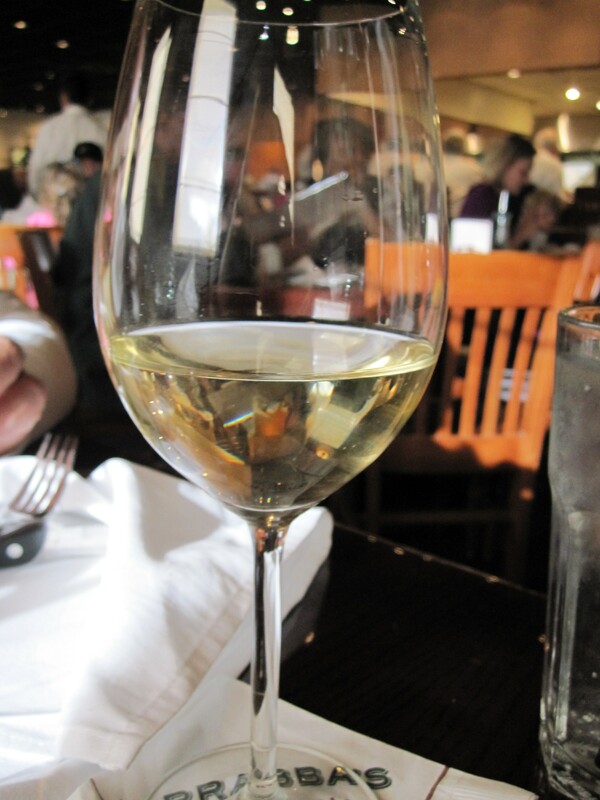 I had my usual House Pinot Grigio. 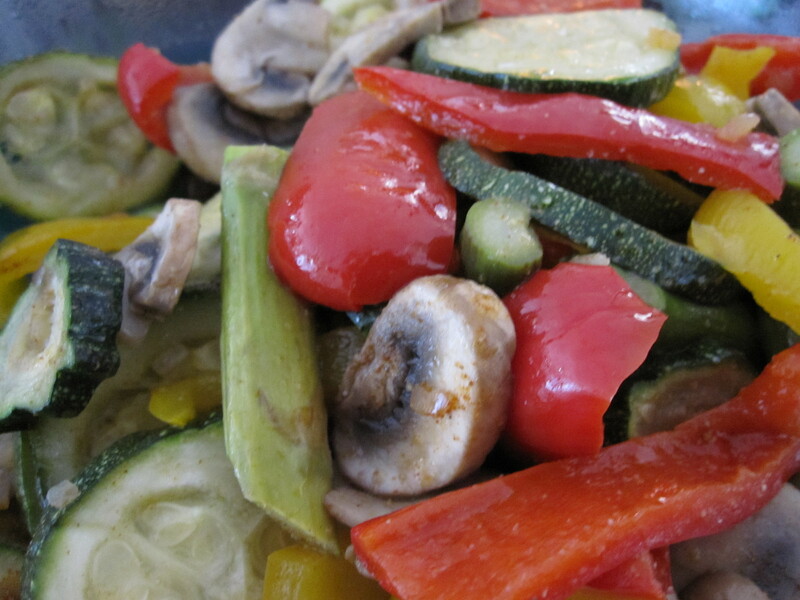 I had a Meditteranean Salad with Oil and Vinegar Dressing… Plus I orderd a side of Roasted Zucchini Vegetables. 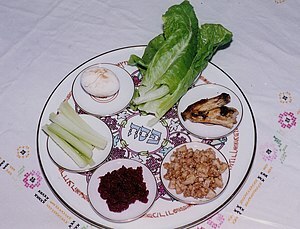 This is the traditional arrangement of the Seder Plate.. I picked up on the internet. The Passover Seder Plate (ke’ara) is a special plate containing six symbolic foods which have special significance to the retelling of the story of the Exodus from Egypt. The seventh symbolic item – a stack of three matzot. Here is the Passover Seder Plate I made for Monday Night’s Seder with Mike and his Children. Maror and Chazeret: For maror, many people use freshly grated horseradish or whole horseradish root. I USED HORSERADISH SAUCE. Chazeret is typically romaine lettuce, whose roots are bitter-tasting. I USED ROMAINE LETTUCE. 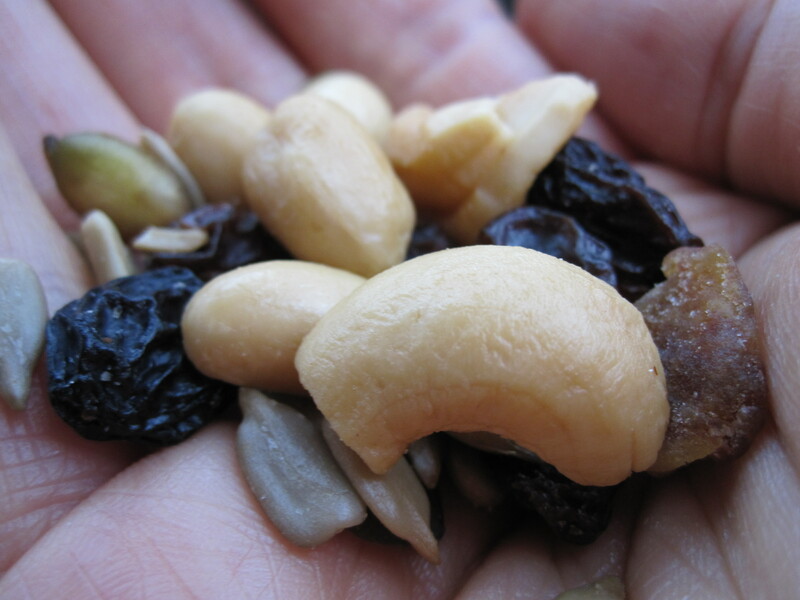 Charoset: A sweet, brown, pebbly paste of fruits and nuts, representing the mortar used by the Jewish slaves to build the storehouses of Egypt. I USED THE CHAROSET MIKE MADE WITH DATES & ALMONDS. Karpas: A vegetable other than bitter herbs, usually parsley… WHICH IS WHAT I USED. FOR DIPPING I BROUGHT OUT A DISH OF WHITE WINE VINEGAR. Zeroa: A roasted lamb bone, symbolizing the korban Pesach (Pesach sacrifice), which was a lamb offered in the Temple in Jerusalem and was then roasted and eaten as part of the meal on Seder night. I ROASATED 5 LAMB CHOPS IN OLIVE OIL AND SEASONINGS. Beitzah: A roasted egg, symbolizing the korban chagigah (festival sacrifice) that was offered in the Temple in Jerusalem and was then eaten as part of the meal on Seder night. I ACTUALLY BOILED 6 EGGS. Once the Seder was complete, we brought out the Matzo Ball Soup, Cucumber & Tomato Salad, Rice, and Polo Horesht. I had never made Matzat Ball Soup… and took the liberty of pulling up the recipe online. Then I realized I didn’t have the Matzat Meal to make the Matzat Balls… so I had Mike go out and get it from the store. Directions: Bring Soup to boil and drop rolled pieces of Matzo Balls into water. Let Simmer for 30 minutes on low heat and serve. 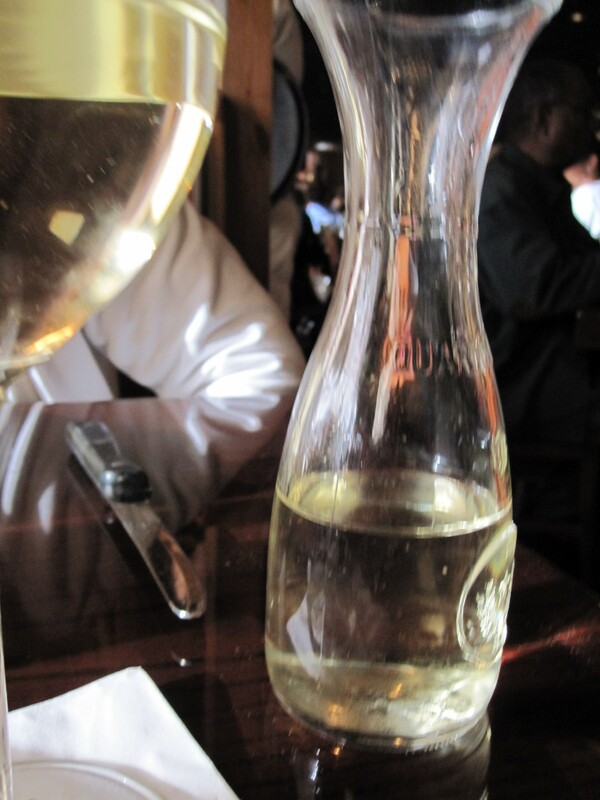 The Seder was very nice…. 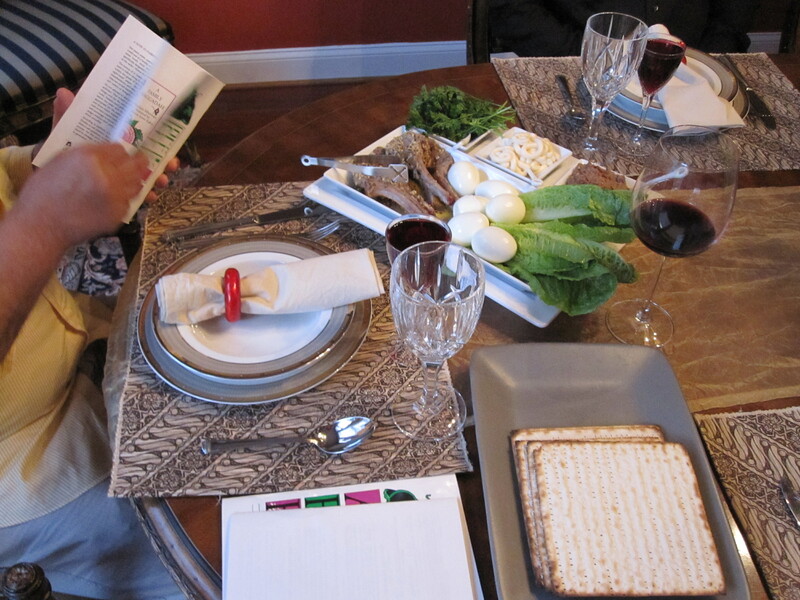 we read from the books and performed the Seder as close to the tradition as we could. For the meal, I had some Mazto Ball Soup, Basmati Rice and Cucumber & Tomato Salad. Saturday night, we went to go see the movie “She’s Out Of My League”… Mike’s son wanted to get something at the concession stand. And so I graciously obliged and got a little something for myself too… Almond covered M&M’s. 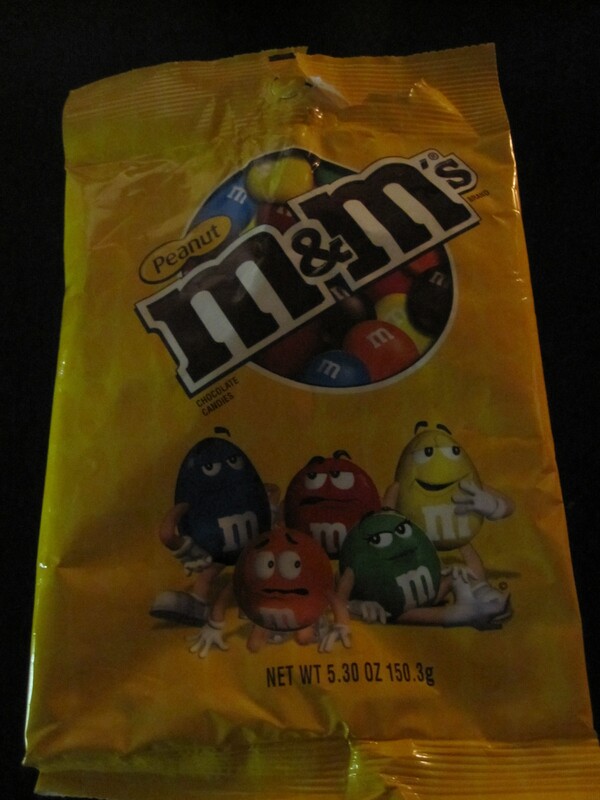 The M&M’s with maximum blocking power… I was bloated the minute Mike and I finished the bag off until tonight (Sunday). But that didn’t stop me from getting up this morning to take my early morning brisk walk!!! I felt really really really bloated doing it, but I knew it had to be done if I wanted any kind of relief. 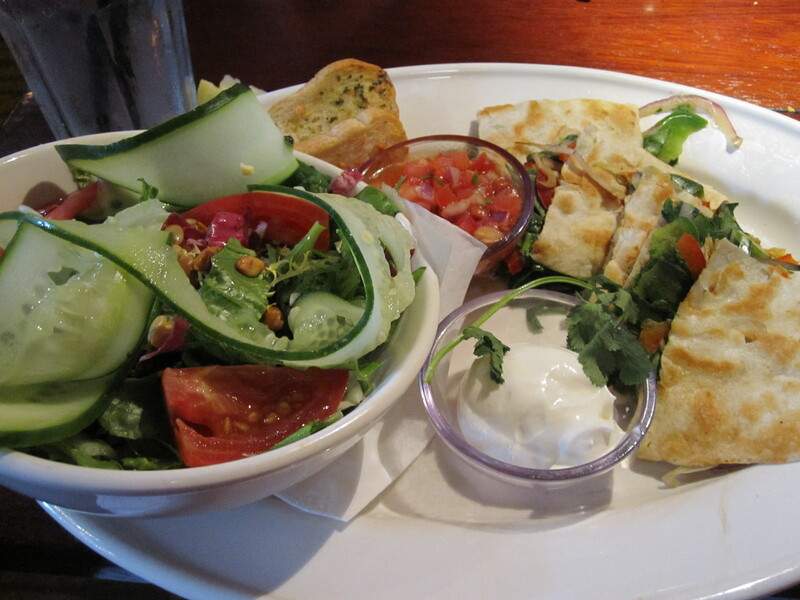 So… we ended up going down to Orlando for lunch at Bahama Breeze Restaurant again. It’s turning into our Sunday afternoon thing of St. Thomas Crab Claws, Breeze Salad with Cheese less Quesadillas and Chicken Kabobs. 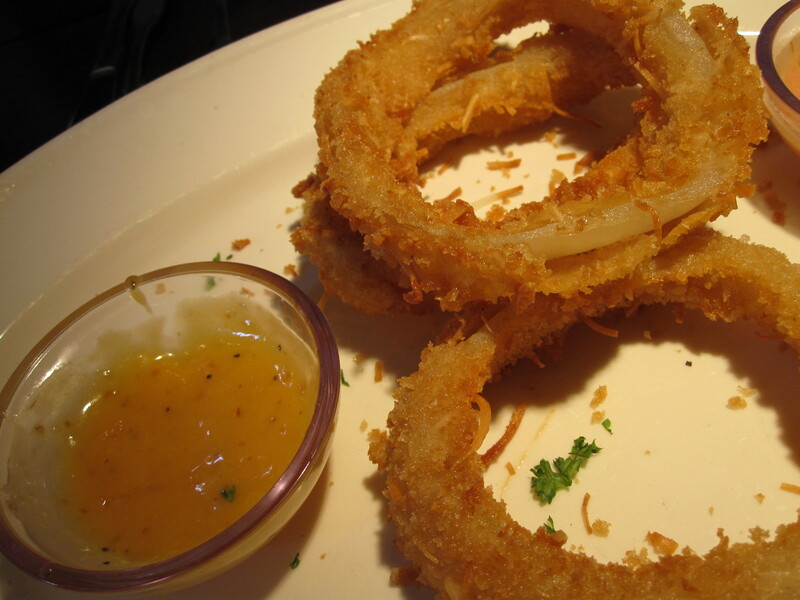 This time, we added Coconut Onion Rings to the mix (I was overwhelmed with the desire for them). Luckily, Mike’s son was there to help eat the Onion Rings. I managed to eat only 3 of them… yeah! Again, we ran into rain while we were down there, so it put a little damper on our shopping trip to the outlets. But I did manage to pick up some good buys and some red-hot ticket items. Because of the rain, it seemed like we were on the road forever… and combined with all that shopping made for some hungry bellies on the way home. So we stopped off at a gas station along the interstate and I got some Trail Mix filled with some goodies: raisins, almonds, sunflower seeds and some other goodies. Directions: Boil potatoes to a soft touch, drain and peel then add into bowl with Chopped Onion, Ground Turkey and seasoning. 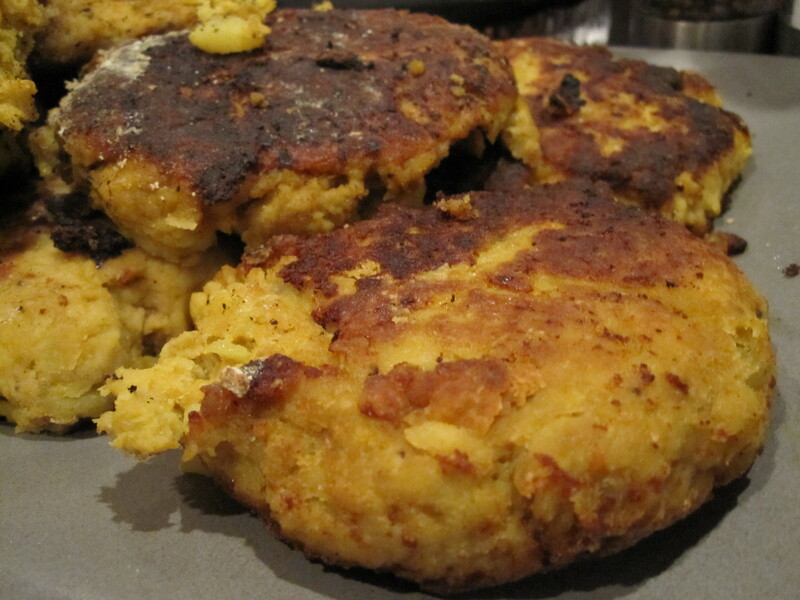 Mix the ingredients together and mold into patties and cover in flour. Then place patty cutlets into Coleman Grill with Olive Oil until nice and brown. Turkey Cutletsfor dinner and I just put out my Fresh Chopped Vegetables I made Saturday and put the left overs from lunch on the table to munch on. 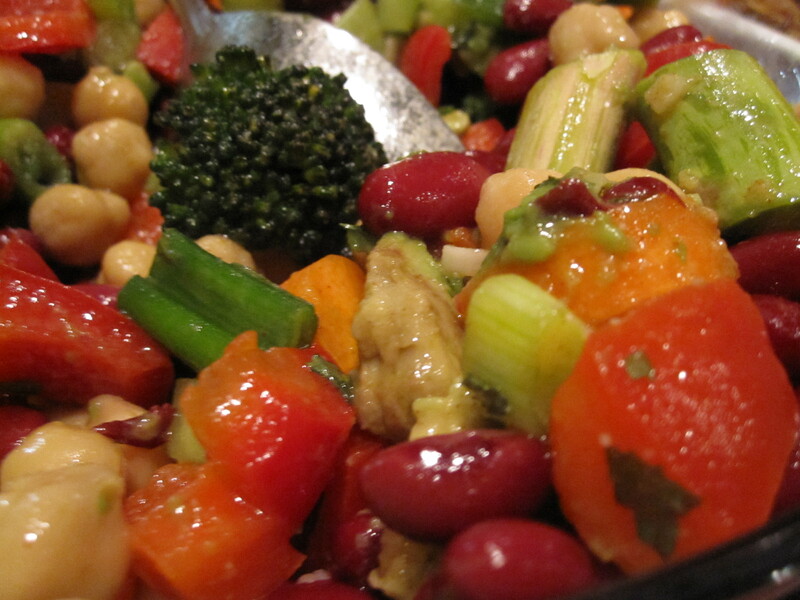 Directions: Chop up all the vegetables in order listed… and mix into a bowl. Leave the vegetables clean with out any dressing. Add your own at the table, I used Oil & Vinegar with some Paprika, Dried Onion, Dried Parsley seasoning. It’s amazing how much junk you think you can get away with kids and company around.. and it’s not something I enjoy admitting to either. 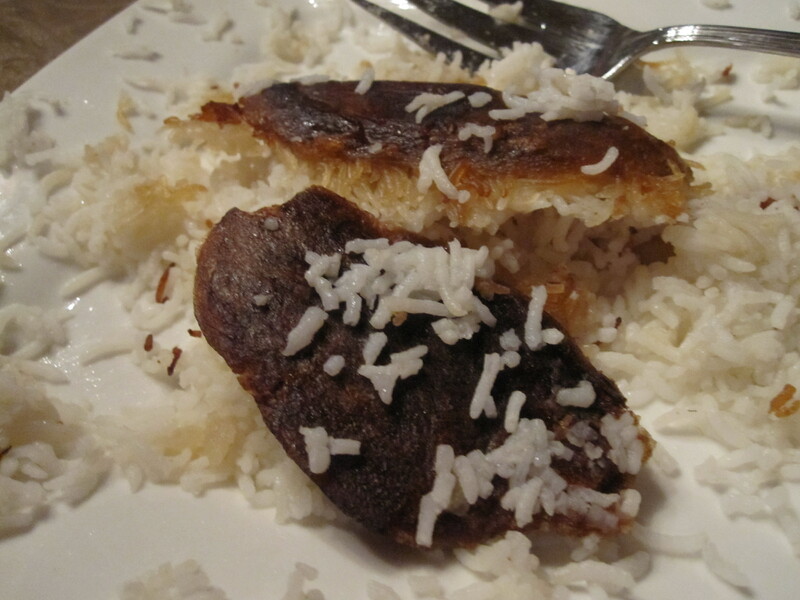 Because just at dinner, Mike’s son was so proud of his efforts to help his dad with the cutlets he gave me one to try. So I had to try it, even though I didn’t want to. And the M&M’s… that was just me thinking like a kid.! Every time there’s someone around I do bad, as if I needed an excuse, because I can make bad decisions all by myself. 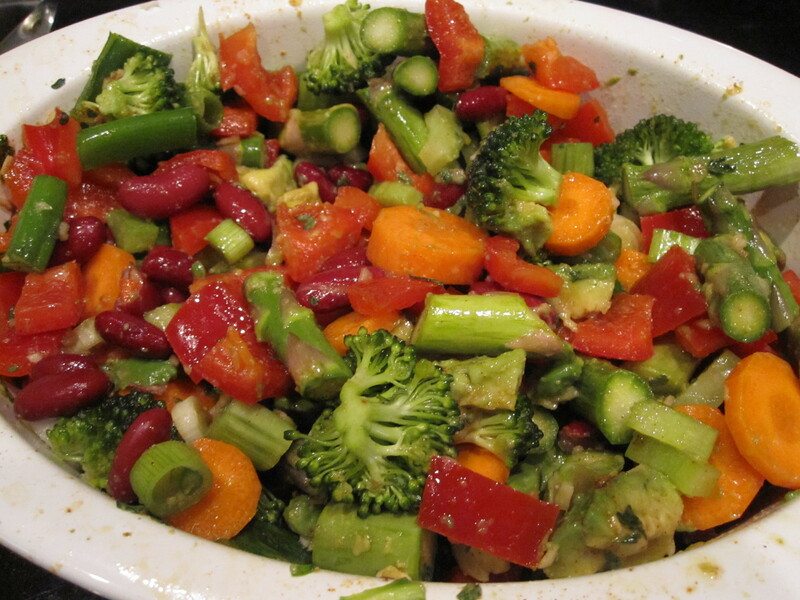 I love how all the vegetables in my salads and dishes just sparkle with bright, rich colors. The minute I sprinkle Olive Oil on the veggies, they just seem to come alive. And I know that once I eat them I will come alive with nutrition and healthy cell rejuvenation!!!! So, this morning I started with a brisk hour-long walk in the neighborhood. 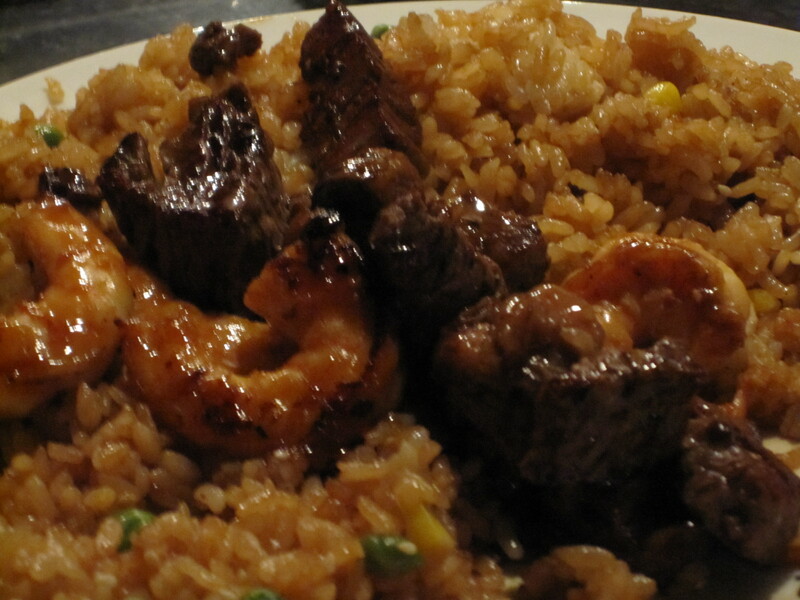 It was a great feeling after the food I ate last night.. I’m still kinda getting straight from the Hibachi Meal.!!! Then we let Mike’s son take a ride on Mike’s bike around the neighborhood, while Mike and I took a walk down to the clubhouse. There, we waited for his other kids to come over to have lunch. Directions: I chopped up some zucchini, Bell Peppers Asparagus, and Mushrooms and put them into some Tin Foil paper and sprinkled some Olive Oil and Seasoning on the pile of vegetables and handed it off to Mike to put on the Grill. He kept it on the Grill shelf for about 15 minutes. Then I chopped up Vegetables for another Fresh Vegetable Salad I’m saving for either tomorrow of later today!! I also made a Cucumber & Tomato Salad and brought out all the stuff to eat on the patio. Before the meal, we were all munching on Hummus and Stacey’s Chips. 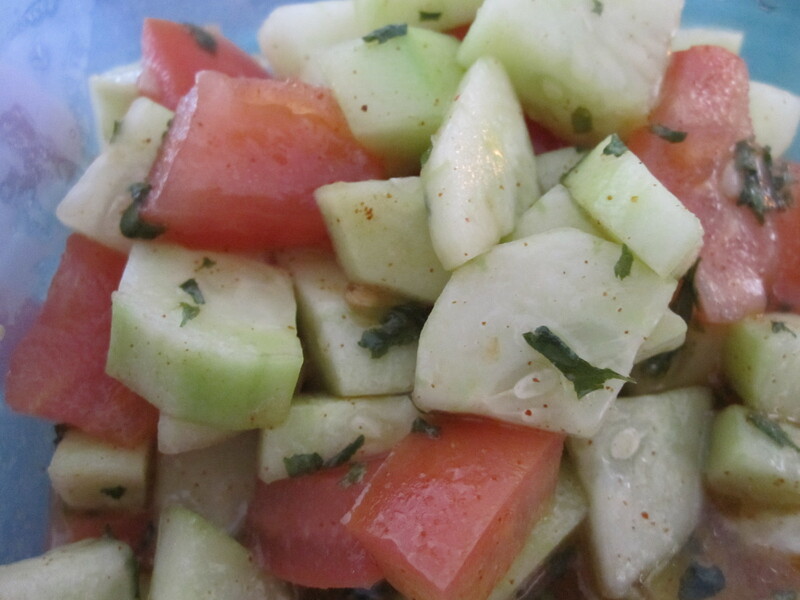 Directions: Chop up the cucumbers and tomatoes and sprinkle with 2 tbls of Olive Oil, Dried Parsley and seasonings. Now, we’re relaxing and watching some TV…. I think I may have had too much Hummus and Chips. But, hopefully my afternoon juice will help wash things down!!! Speaking of juicing…. I ran out of Carrots yesterday and made juice with Asparagus, Celery and Apples. 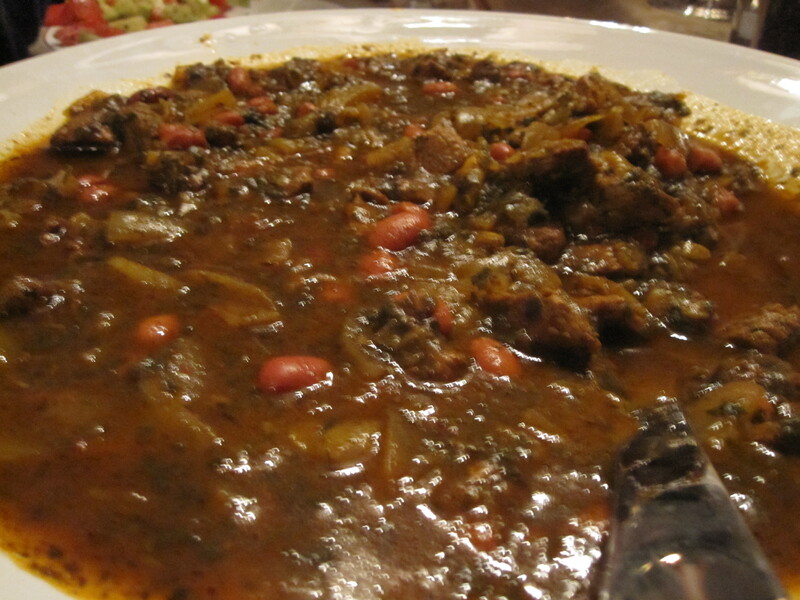 It was really good… it tasted different but good!!! Another lunch of Fresh Vegetable Salad and Asha Reshteh and then up to Jacksonville to pick up Mike’s son. But before we hit the airport, we went to have dinner with Mike’s other son at Wasabi a Japanese Steakhouse. We had met up with him several weeks ago at the same restaurant. 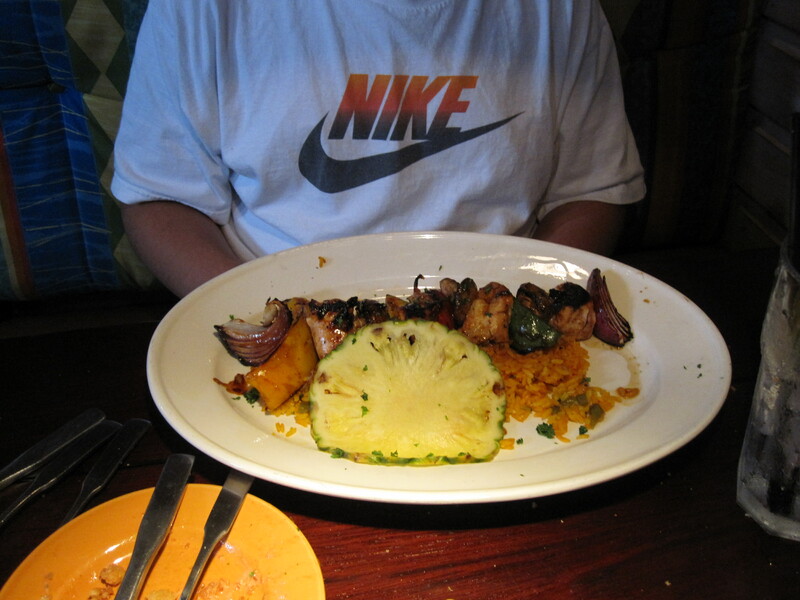 And we had the same thing… Filet and Shrimp Hibache…. 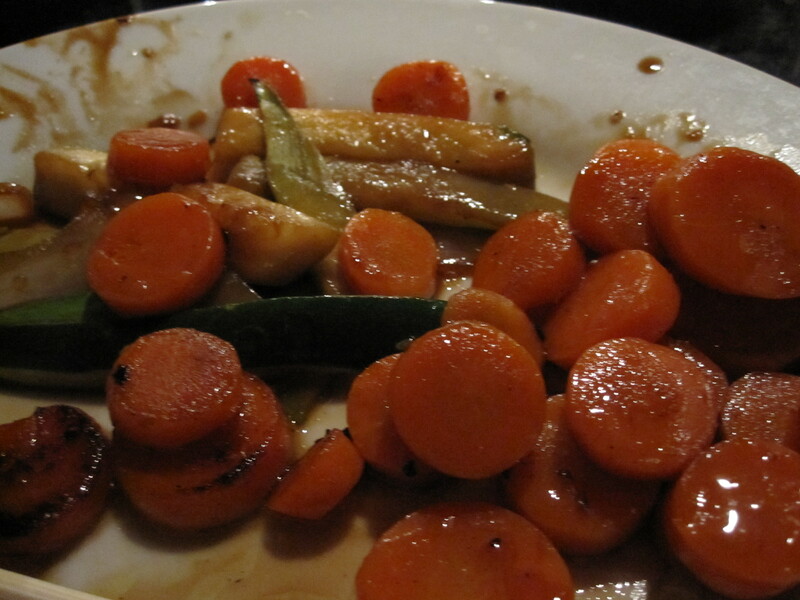 I of course had the vegetables, Zucchini, Squash, Carrots, Onions, and Broccoli. Before hand I asked for a Seaweed Salad and I had cold Sake. I also asked the chef to make the Rice with no Egg. But I couldn’t say anything about all the butter he used… because there’s a table full of people waiting for him to cook for them. I woke up and didn’t have the slightest urge to go for a walk around the neighborhood, or even get up and out to take a Pilates Class. I just shrugged the early morning away!!! I did get on the scale this morning and I went from 172lbs. to 171lbs… and I felt good about myself. 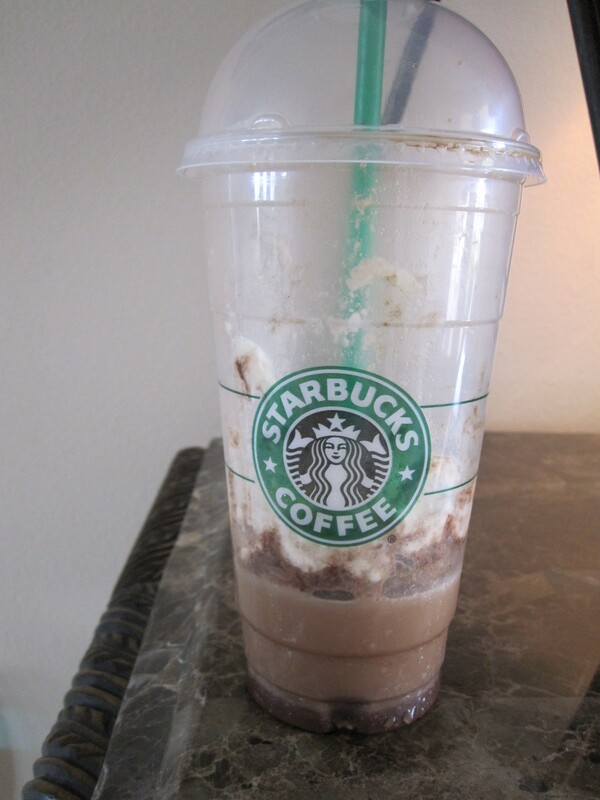 And for some reason I had the idea to get a Venti Mocha Frappacino. I walked into Starbucks on my way out to run errands and Sari still recognized me after 6 months of not visiting. I didn’t think she was going to recognize me, but I’m glad she did. It made the purchase all the better. Then for lunch, Mike and I sat down for some Fresh Vegetable Salad and Ash Reshteh. I had a scoop of each, which I probably could have gone a little easy on!! Then we stopped into Carrabba’s… big surprise!!!! 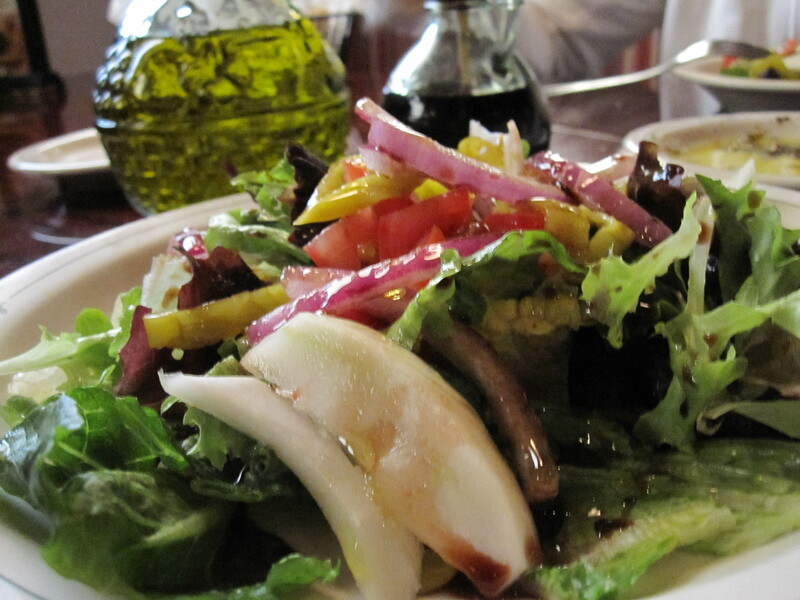 I had my usual Happy Hour White Wine and Insalata Fiorucci Salad… Mixed field greens tossed with marinated artichoke hearts, roasted red bell peppers and grilled eggplant in vinaigrette, topped with a hazelnut goat cheese medallion. NO CHEESE & OIL AND VINEGAR DRESSING. Yesterday was bad!!! I ate way too much food. 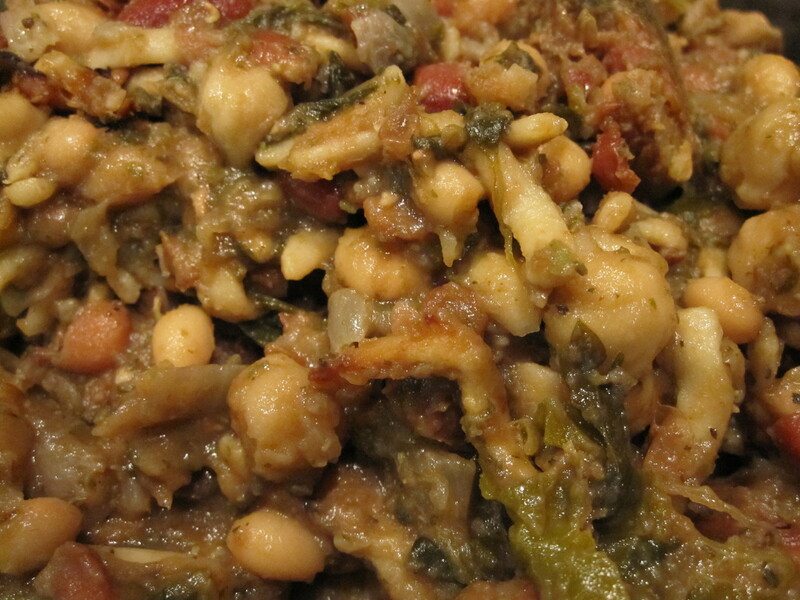 For lunch I had a hearty helping of my Fresh Vegetable Salad and another hearty helping of Mike’s Asha Reshteh. Ugh!! I was so bloated after that meal, after which I vowed I wasn’t going to eat anything for dinner. 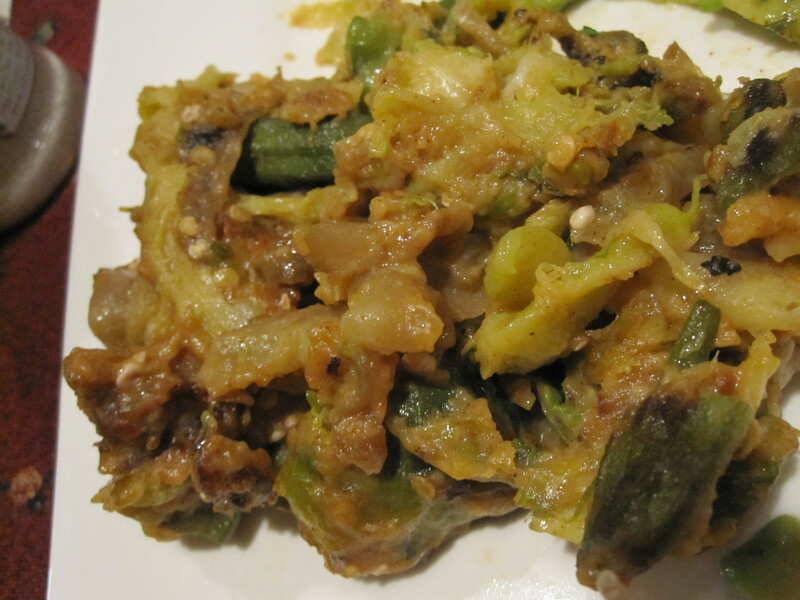 But as luck would have it, Mike made a dish with Okra, Brussels Sprouts, Zucchini and Eggplant. He actually tossed all the vegetables in flour and put it on the Coleman Grill he has. Cut up the vegetables and wash, blot with paper towel and roll into a cup of flour. Fry in a pan/grill with Olive Oil until tender. 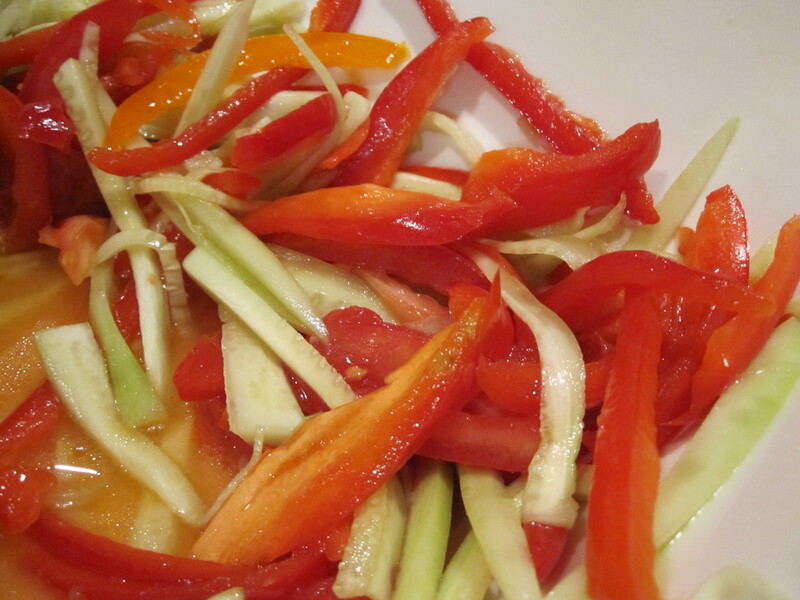 Then he finely chopped up some Red Bell Peppers and Orange Bell Peppers with Cucumber for a Salad. He added an Oil and Lemon Dressing to it. 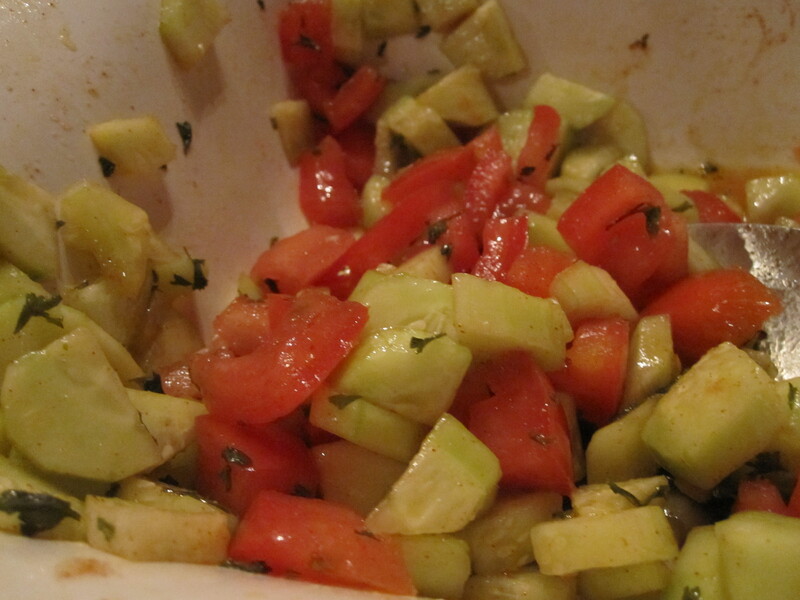 And then I added some Avocado and Paprika, Cumin, Celtic Salt, and Dried Onions to the Dressing mix. 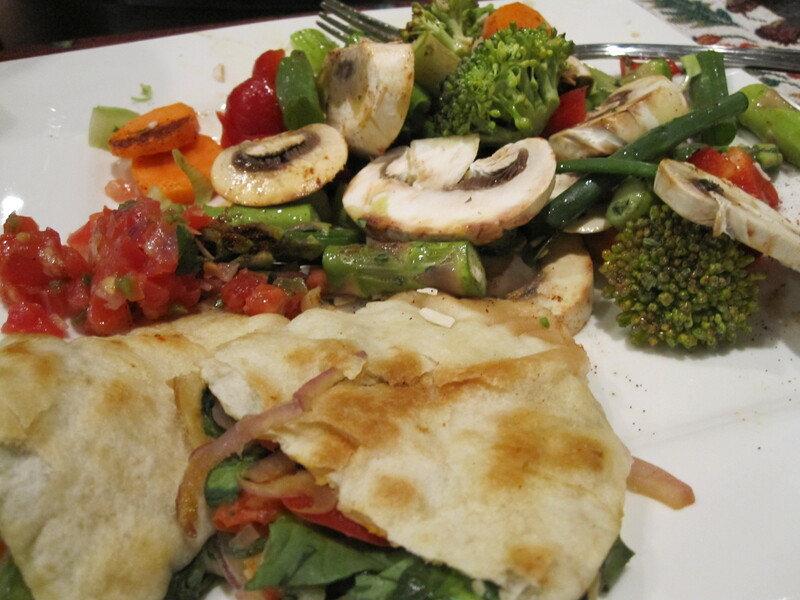 I ate a much smaller amount of THIS food… which was really good. But I was ultimately thinking about lunch and how much I had eaten. Then to make matters worse, I didn’t work out last night. Because I had soo much food, I felt really tired and couldn’t bring myself to it. Checking Out New Recipes – To Win!!! Over a Year – Still Losing! Follow Raw to Lose 40 on Twitter! Everybody loves to eat out. This is why I want to share with you these restaurant options that have HEALTHY, DELICIOUS choices on their menu that will allow you both to eat out - and not feel the least bit guilty about it!